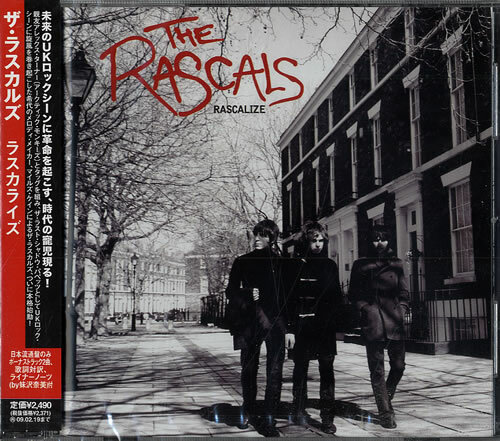 THE RASCALS Rascalize (2008 Japanese 14-track CD album - The Rascals have an ear for beautiful pop melodies and an instinct for psychedelic quirk, however there's a unique and compelling dark soul that underlines their spirit; recorded with producer Ben Hillier [The Horrors, Blur, Elbow] in London, 'Rascalize' includes 'Out Of Dreams' & 'Freakbeat Phantom', plus 2 bonus recordings, sealed picture sleeve with Japanese/English lyric booklet + obi strip). 11. How Do I End This? 14. Is It Too Late?